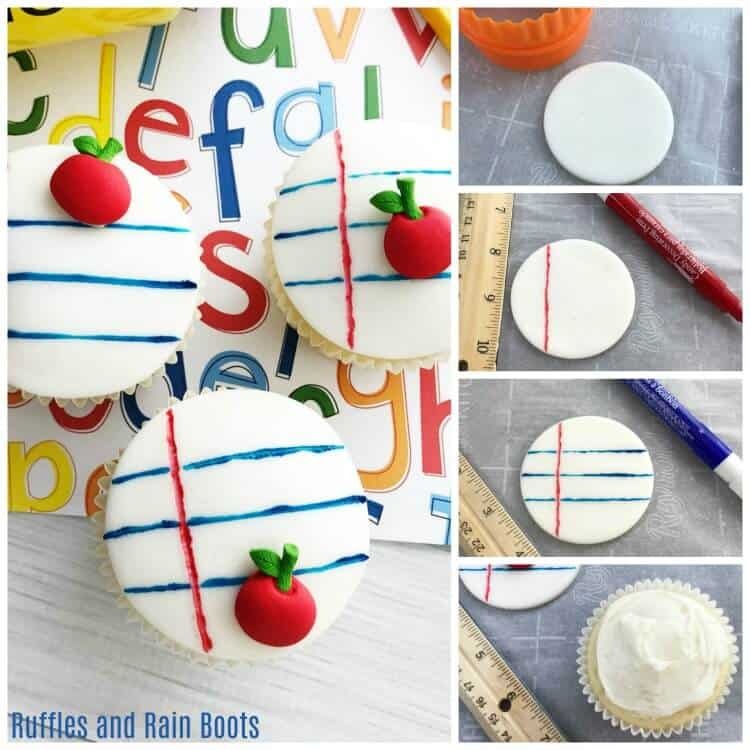 You are here: Home / Food / Easy Back to School Cupcakes – So Adorable! 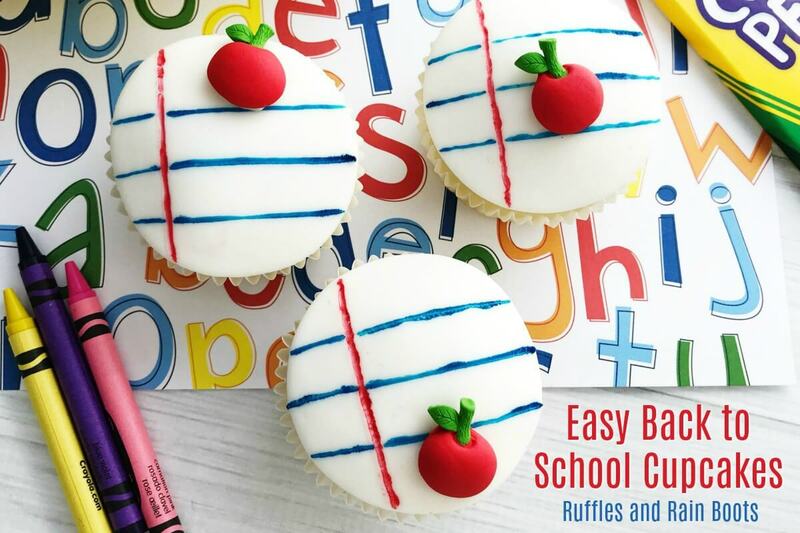 Easy Back to School Cupcakes – So Adorable! 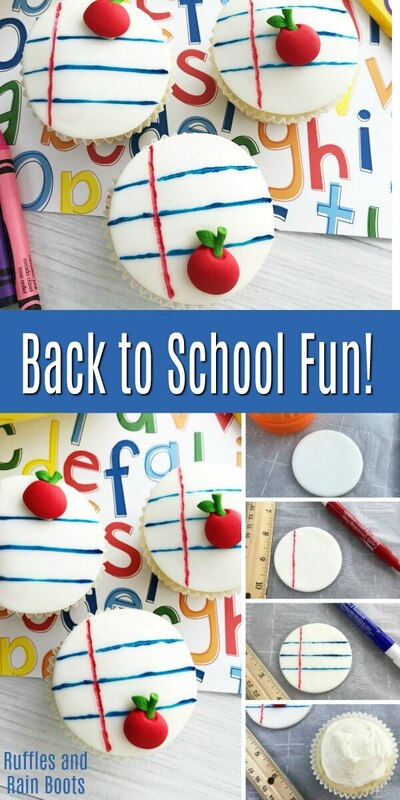 Easy back to school cupcakes are so fun to make and will bring the smiles from everyone. 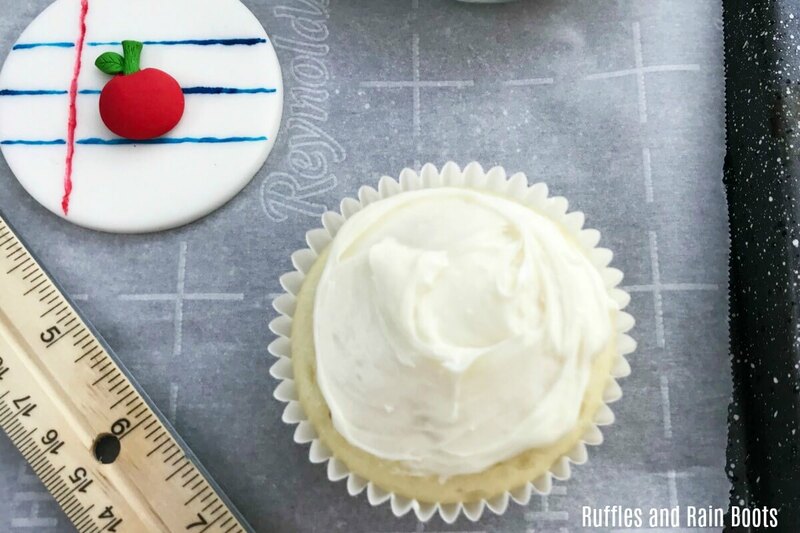 Whether you’re whipping up this treat for teachers or students, this quick cupcake idea will impress. 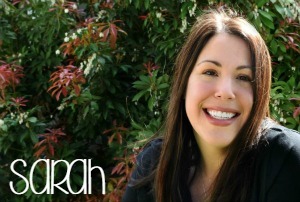 When I was starting a new job after graduate school, I was so nervous… It was my first “real” job after years upon years of education and I didn’t know what to expect. On my first day, I was escorted to the team I would join. As we came around the corner, there they were: my new team, balloons, and vanilla cupcakes. …until I bit into one of the cupcakes. It was like someone took pancake mix and tried to pass it off as a cupcake. I shuddered but ate it because that’s what you do when you’re raised in the South. I vowed to never, ever make a pancake cupcake. Did you know there’s a secret to get light, fluffy vanilla cupcakes? 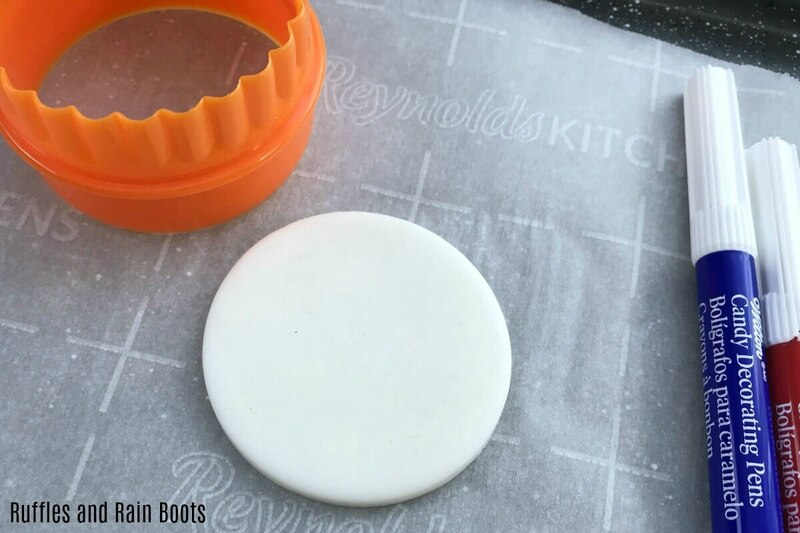 Use a small handful of white fondant and gently roll it out to 1/4 of an inch thick. Use a little confectioner’s (powdered) sugar if your fondant is sticky. Use the 2.75 inch round cutter. Repeat one for all of the cupcakes. 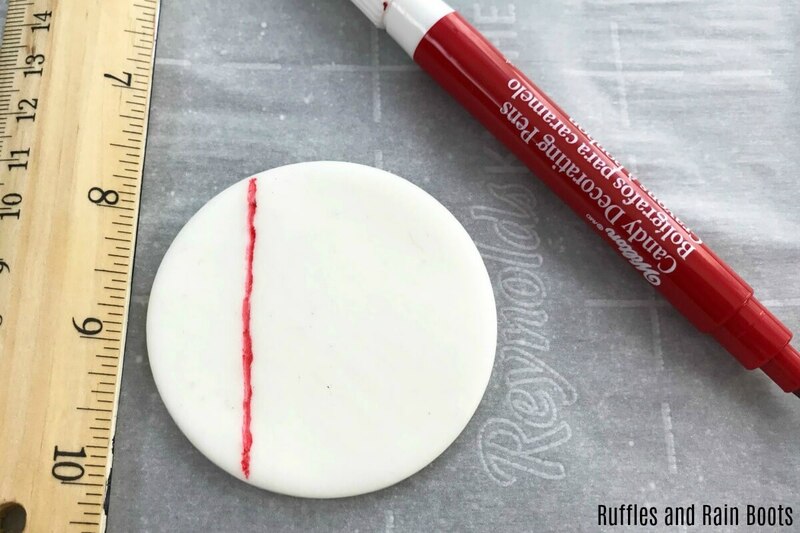 Use the ruler and red edible marker to make a straight line down the left side of the topper. Then, make three lines for the ruled paper with the blue edible marker. 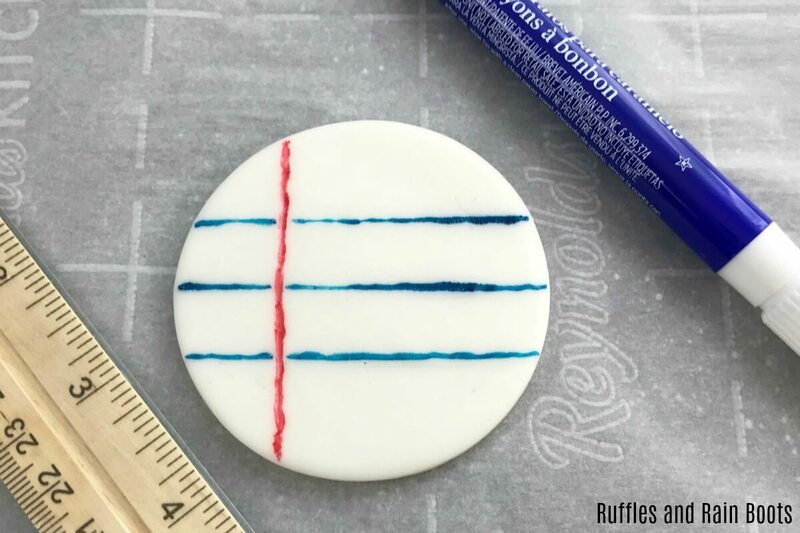 Repeat with all of the fondant cupcake toppers. Generously frost the cupcakes and place the notebook paper fondant on top. 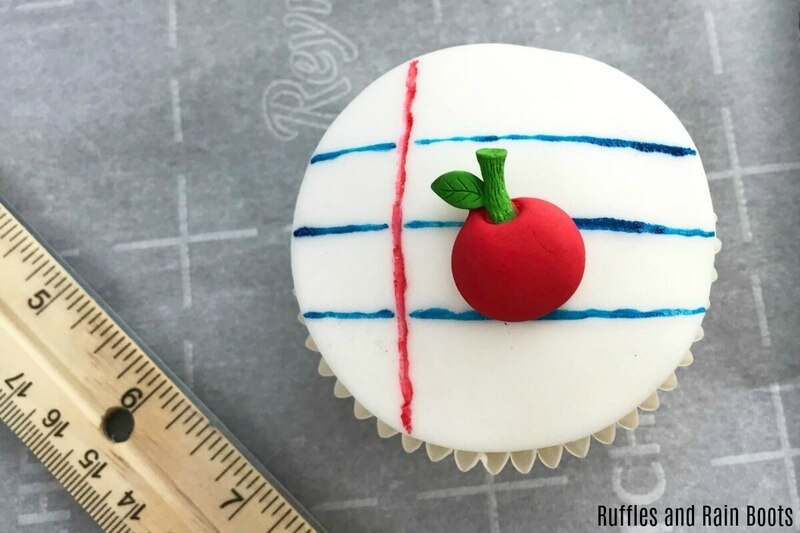 Use a small amount of icing to attach the adorable apple icing decorations. Step 4: Eat. The. Cupcakes. Aren’t these the cutest?! Who would you make these for? Let us know in the comments below.